The colours of the sea interest me because they vary so much depending on the lighting, the weather, the time of day etc. There are also different colours in the same stretch of sea. It is always moving and changing, and although the movements of the waves and ripples might seem random, they are all linked together. 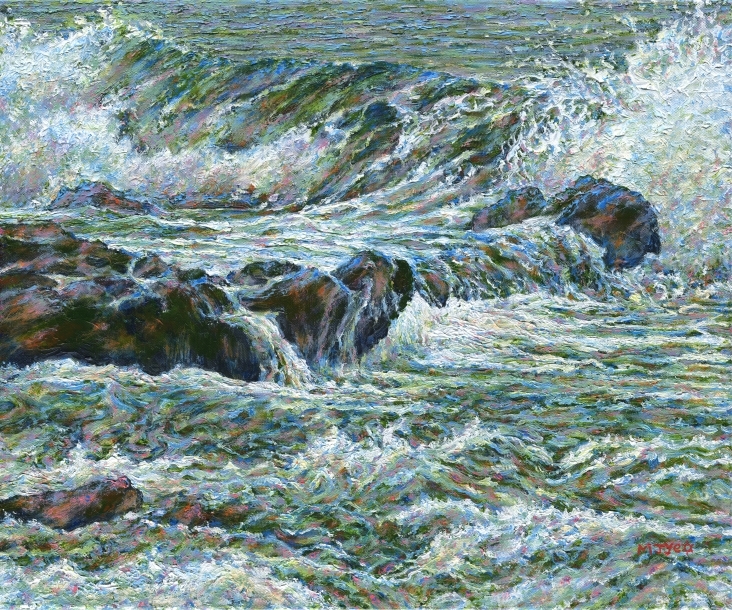 The sea is rough and wild so I've painted it with texture.